Dr. Johnson and Dr. Smith offer dermal fillers as a minimally invasive alternative to surgical procedures. Injectable fillers can reduce wrinkles (fill nasolabial folds and marionette lines), make lips fuller, and give lips more definition. Dermal fillers can also be used to lift or fill our cheeks. After performing a thorough assessment of your face, Dr. Johnson and Dr. Smith will recommend the best treatment for you. The area will be cleansed and anesthetized using local and/or topical anesthetics to minimize discomfort. The process only takes a few minutes and results are seen immediately. Patients may experience redness, bruising, and swelling. Even in the most experienced hands, dermal fillers may bruise your skin. Ice should be applied to the treated areas and we use Arnicare gel to minimize bruising. Aspirin or aspirin containing medications, Vitamin E, Fish oils, and other blood thinners such as Lovenox, heparin, coumadin (warfarin) and xarelto (rivaroxaban) should not be taken for at least 7 days. Discontinuation of any medication should be discussed with your primary care physician. 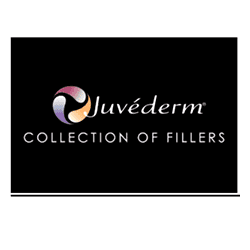 Juvederm Voluma XC is for deep injection in the cheek area to correct age-related volume loss in adults. 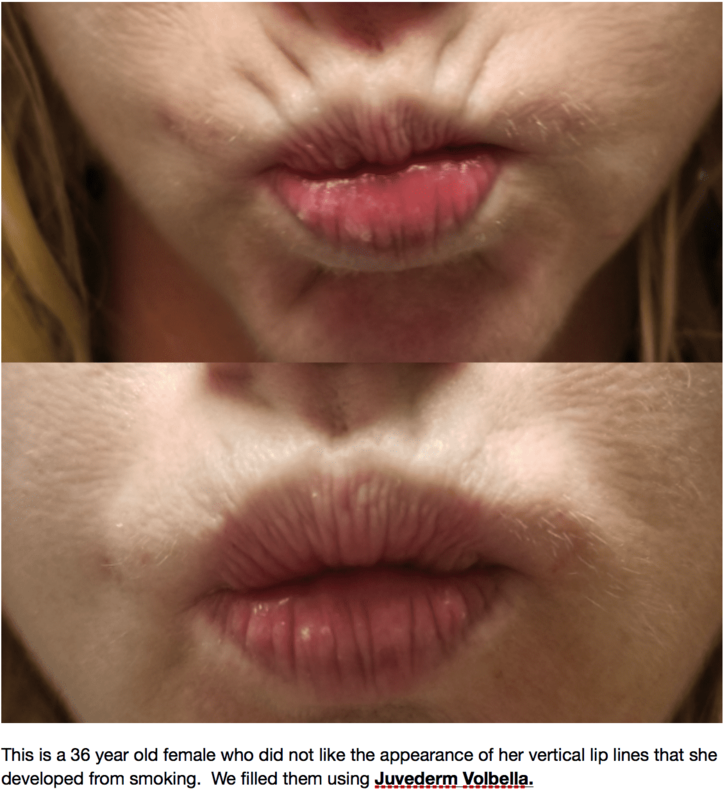 By lifting the cheek, it can drastically improve the appearance of nasolabial folds. It may last up to 24 months, but results may vary. Juvederm Volbella XC adds subtle volume to the lips and softens the appearance of vertical lip lines. It may last up to 12 months, but results may vary. Juvederm Ultra XC adds more fullness and plumps thin lips. It may last up to 12 months, but results may vary. 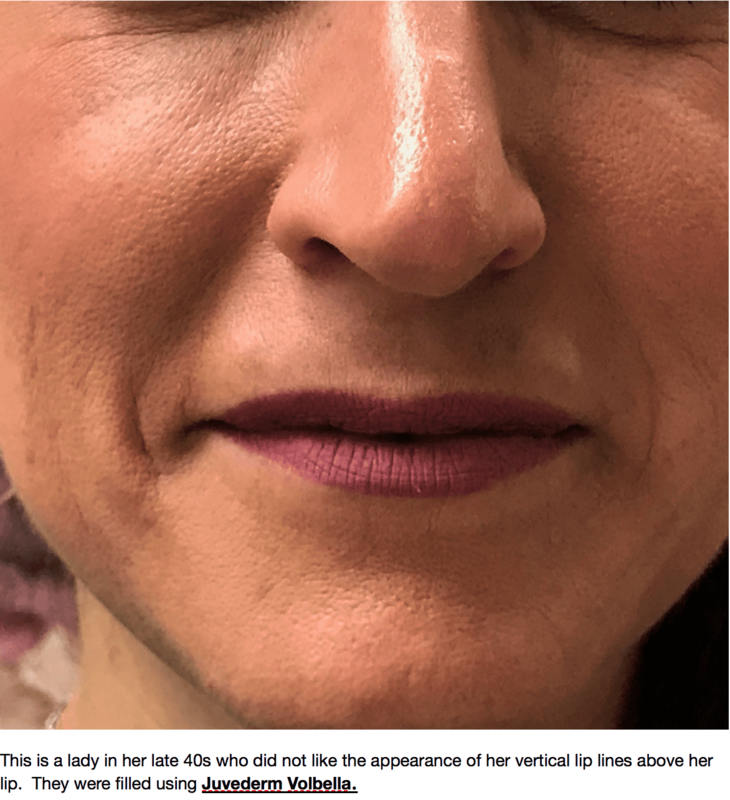 Juvederm Vollure XC softens moderate to severe facial lines and wrinkles, particularly the nasolabial folds and marionette lines to create a smoother appearance. It may last up to 18 months, but results may vary. Juvederm XC softens moderate to severe facial lines and wrinkles particularly the nasolabial folds and marionette lines. It may last up to 12 months, but results may vary. 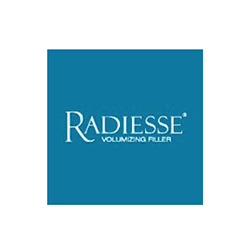 Radiesse/Radiesse (+) is used to improve moderate to severe facial wrinkles and folds such as the nasolabial folds. Radiesse is also indicated for hand augmentation. It helps to correct volume loss on the dorsum of the hands. 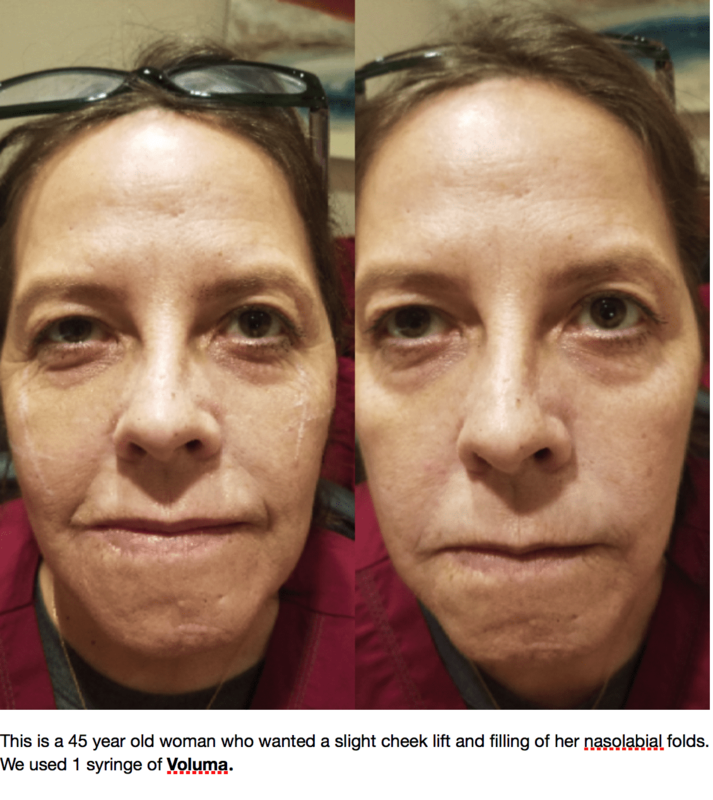 Bolotero Balance is use to soften and smooth moderate to severe etched in wrinkles closer to the skin surface for a more finished look such as the nasolabial folds. *Radiesse last approximately 12 months, while bolotero balance lasts approximately 6 months. However, individual results may vary. Restylane Silk is a FDA-approved product specifically designed for lip augmentation and smoothing of the wrinkles around the mouth (smoker's lines). Restylane Lyft (formerly Perlane) is the first and only FDA-approved HA filler approved to treat your face and hands. Lyft is often used to fill and lift the cheeks. 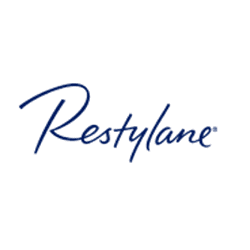 Restylane Refyne Fills lines and wrinkles and provides the skin with a refined result. Restylane Defyne Shaping and defining facial contours through high lifting capabilities with a defined result. Restylane Lyft Providing lift and structure to the facial contours through high lifting capabilities with a pronounced effect. *Restylane products last approximately 9-12 months. However individual results may vary.